It’s official world, we have hockey this year! And we don’t have to wait until October. Yes, the ghastly and unforgivable NHL lockout has ended and not a second too soon. Gary Bettman has apologized to fans and I’ll respond to him for the collective NHL fan base: Apology not accepted, go get your shine box, Gary. Before I start ranting, I’ll get to the intended point of this post. This will be the final part of What We’re All Missing. Since we get to see Sid and Geno and Ovi and Pavel and Zdeno, etc. on just about a nightly basis from January 19th on, NHL fans won’t fully miss out on just how their team brings them joy. But this piece was written and spaced out over time based on the very real fear that we would have a repeat of 2004-05 and be forced to watch the NBA, so consider this final part the “What We Would Be Missing if the NHL Season was Cancelled But Thank God it Isn’t Edition.” It doesn’t have the same ring to it, but they can’t all be winners now, can they? I’d like to thank the Sportz Broz/Editor-in-Chief Adam Maher as always for posting my content. So without further ado, here is the final installment of WWAM featuring the Edmonton Oilers, Florida Panthers, Pittsburgh Penguins, Nashville Predators, New York Rangers, Detroit Red Wings, Buffalo Sabres, Ottawa Senators, San Jose Sharks, Dallas Stars and Minnesota Wild. The Penguins are coming off a pair of rough games, getting beaten twice in a row by the New York Islanders. I think Bylsma will light a fire underneath the behinds of his team for this one. 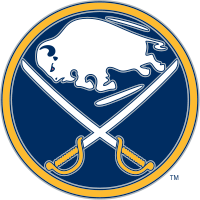 It will be a playoff atmosphere in Buffalo as the Sabres are holding onto a tenuous 8th playoff spot. My prediction: Pens WIN. I’ll admit it, I haven’t been doing so well on my predictions so far. But like I’ve mentioned before, it’s tough to predict games that are weeks away like I did initially. Regardless, I’m pressing on. Pittsburgh is carrying a ton of momentum to Buffalo after a big win in Philly on Saturday. The Sabres, however, have little to no momentum or hope. They are dead last in the Eastern Conference and there is no end in sight. My prediction: Pens WIN.